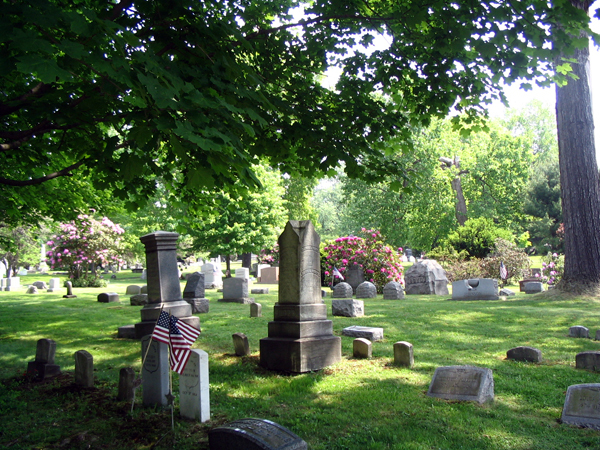 Founded in 1852 as a replacement for Meadville’s older burial ground, Greendale Cemetery was a civic project chartered by private citizens but administered by an independent board. The first Superintendent, Herman Leo, began laying out plots, drives, and walks in 1854. He created winding, park-like drives among the 85 acres of sloping hills, in keeping with the design concepts of the Rural Cemetery movement. Within two years a house was constructed for the caretaker, and other major construction projects would follow over the next two decades. In 1875 Herman Munz, a landscape gardener and horticulturist, was engaged as the third Superintendent. 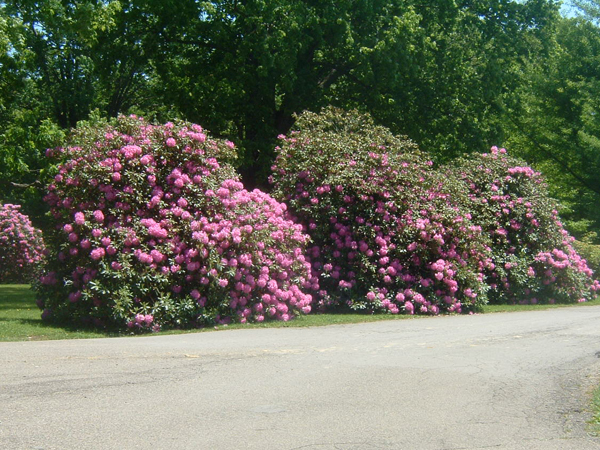 During his tenure, Munz planted hundreds of flowering shrubs and trees, including oaks and rhododendrons. 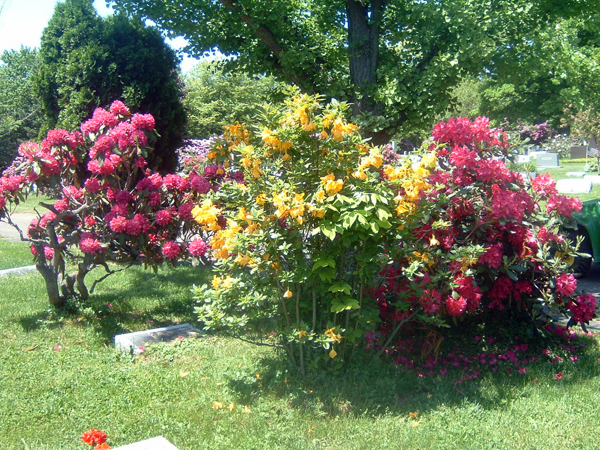 Today the 200-acre cemetery is home to over 1500 rhododendrons (predominantly Rhododendron catawbiense). 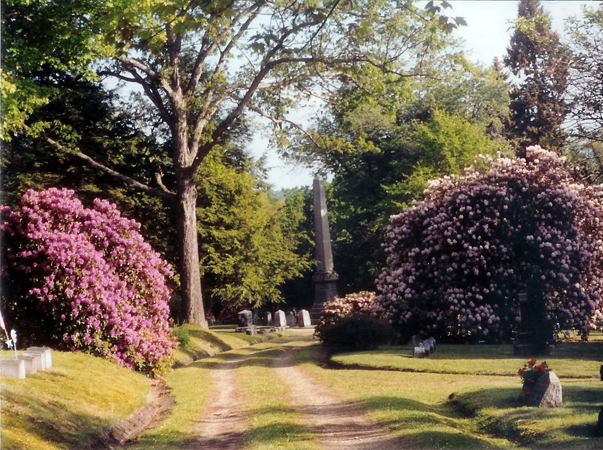 The landscape also includes a deep ravine that runs through the cemetery, with picturesque paths that offer visitors access to virgin growth hardwoods and ancient hemlock trees.